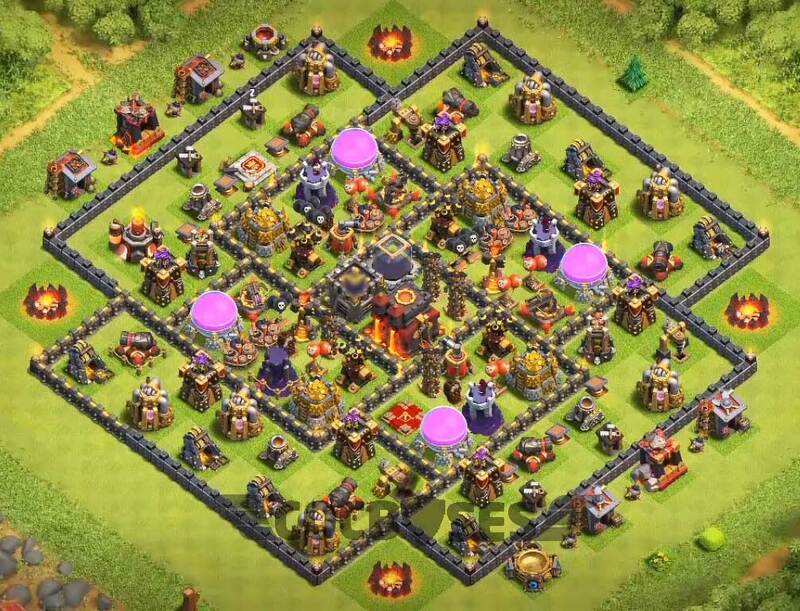 Here comes the first base that is dark elixir protected donuts base.there are three compartments in this base. 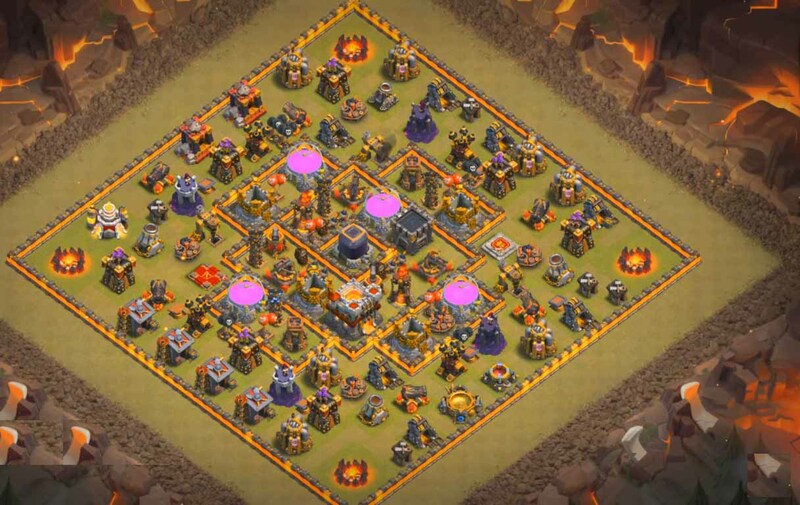 the first compartment is composed by stray buildings such as barracks dark barracks army camps gold mines and elixir collectors. 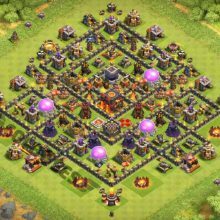 This compartment also has good number of defensive structure’s such as archer towers, wizard towers cannons and mortars to name a few. 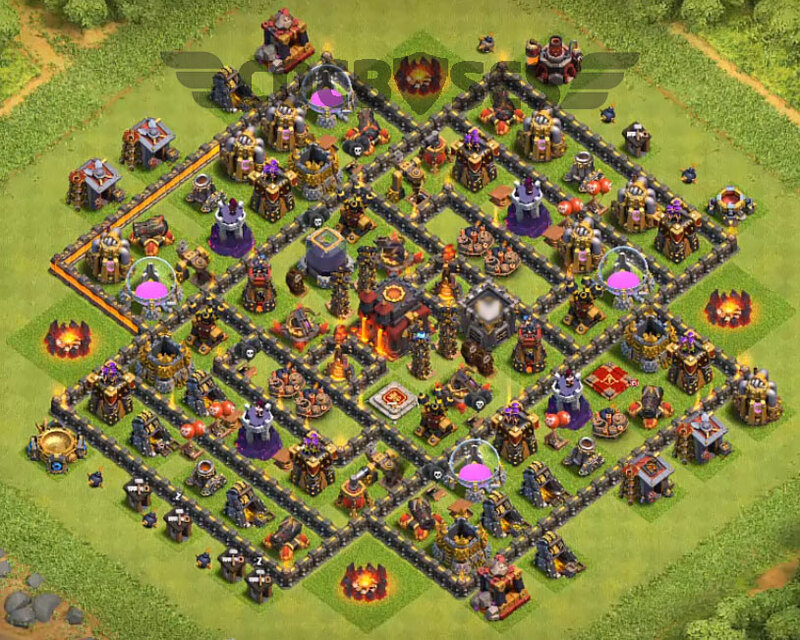 The following compartment next to the earlier discussed compartment has the gold and elixir storage’s along with town hall on one end. 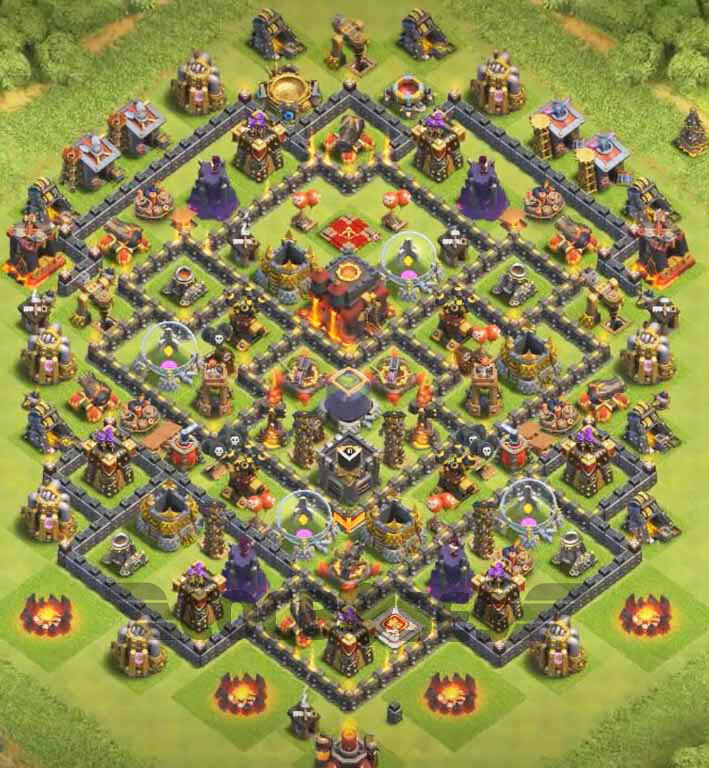 X-bows, Tesla’s and inferno towers are placed right in the center of the base in the central compartment surrounding the dark elixir storage. 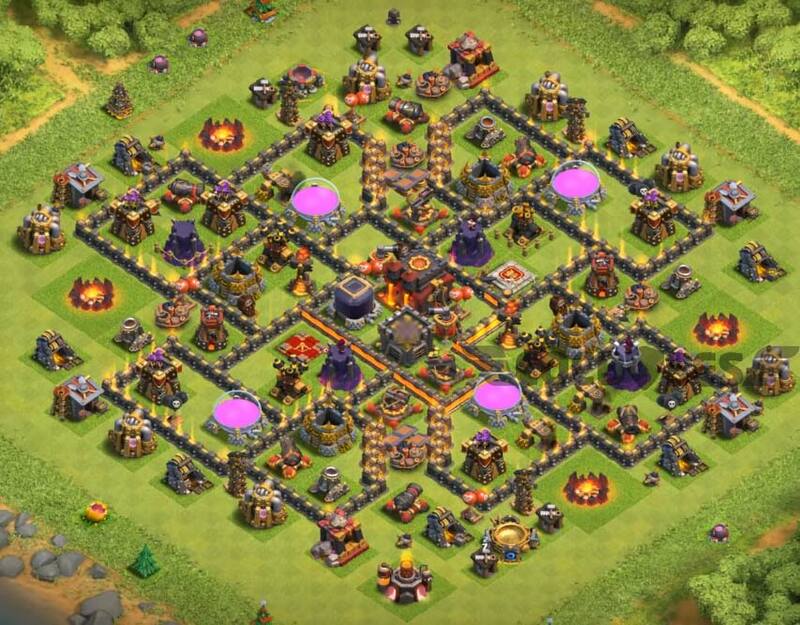 You can change your town hall position in base accordingly to the requirement for war and farming. 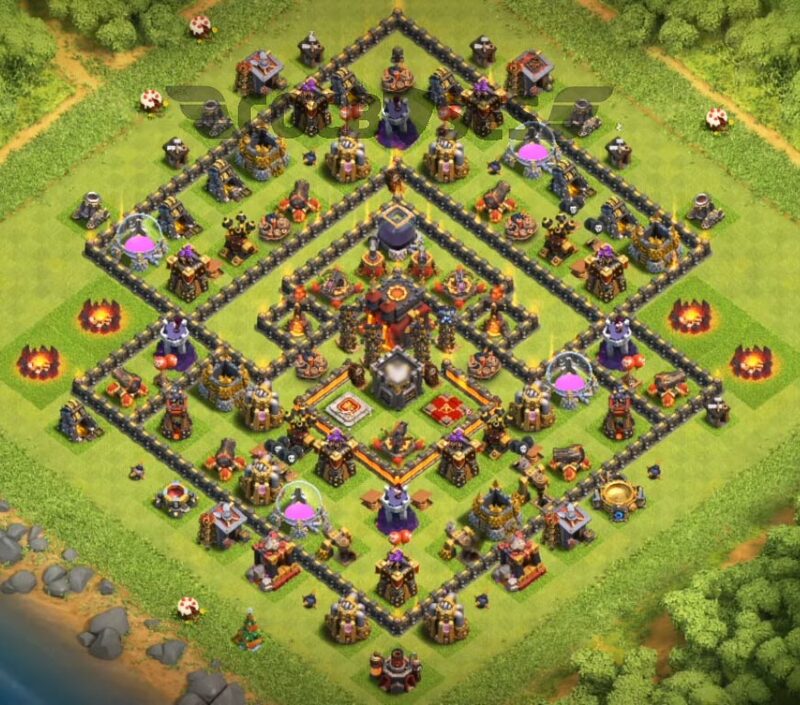 so overall this donuts base makes a good hybrid base. 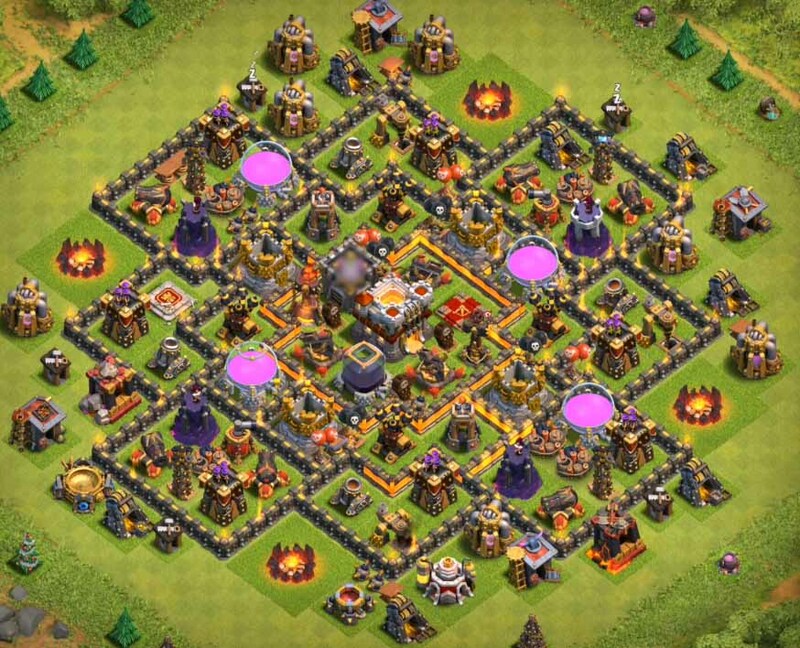 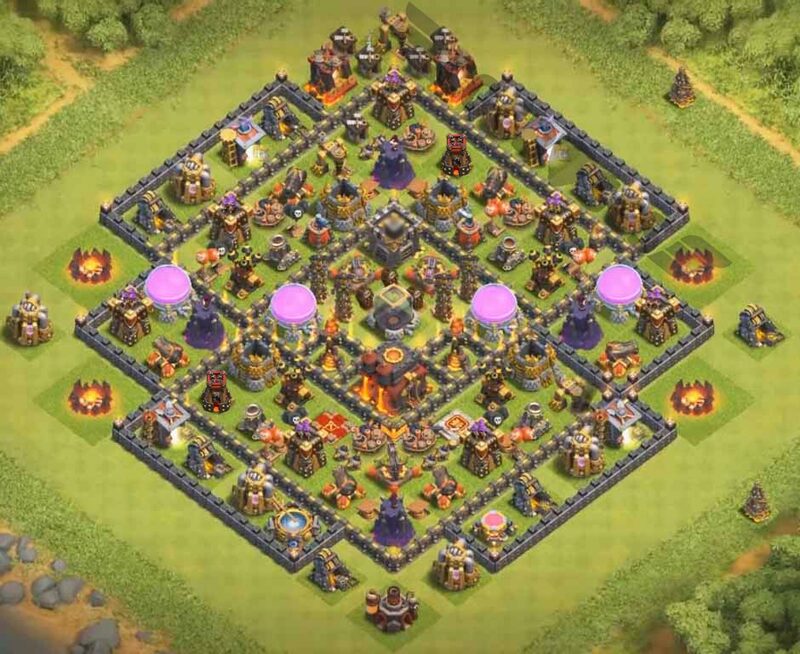 Shravan is clash of clans player who likes to design various town hall bases. 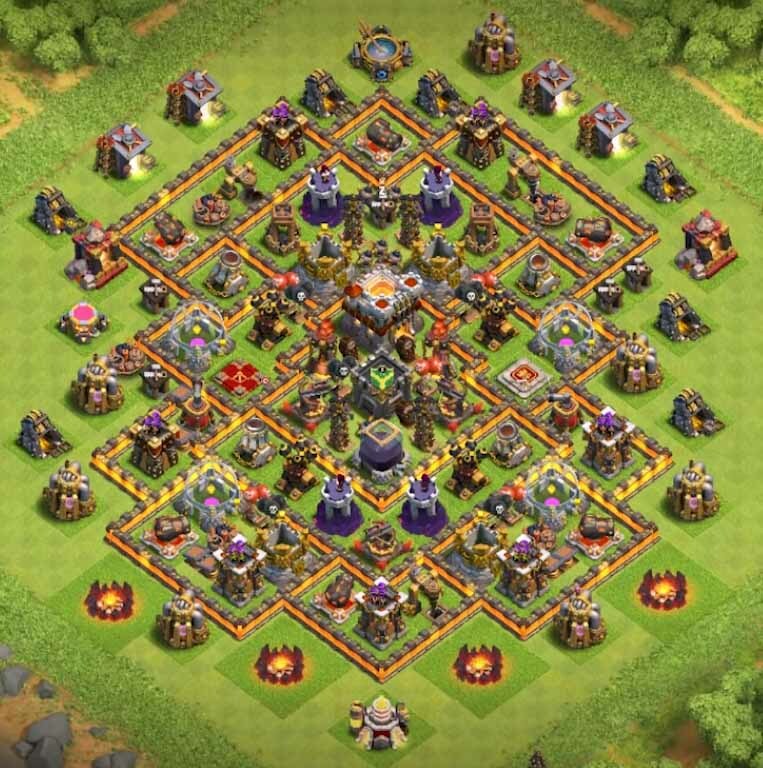 He is an aspiring entrepreneur and music addict. 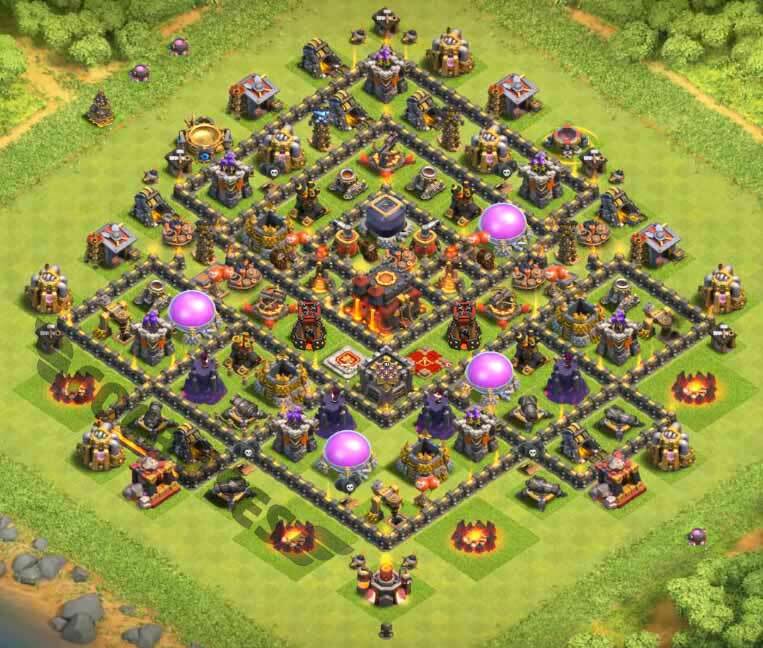 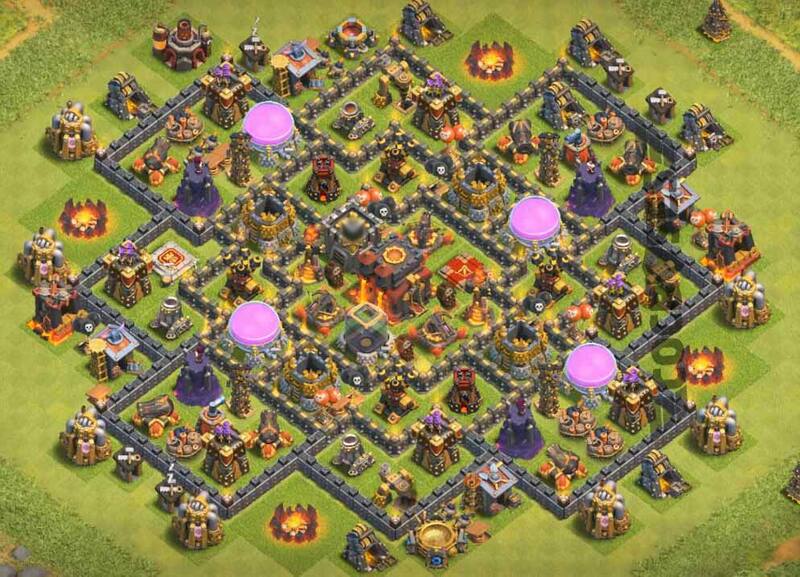 I need strong townhall 10 war base without inferno….